← A Cowboy Duel: Shane vs. The Virginian! Battle of the TV Cowboys: Hoppy vs. Cisco! The Archives Month Rumble continues with this next smack-down, a match-up between two famous TV cowboys, Hopalong Cassidy and the Cisco Kid! Read on for “stats” that might help persuade you to vote for one or the other–if you don’t already have your decision firmly in mind, that is! 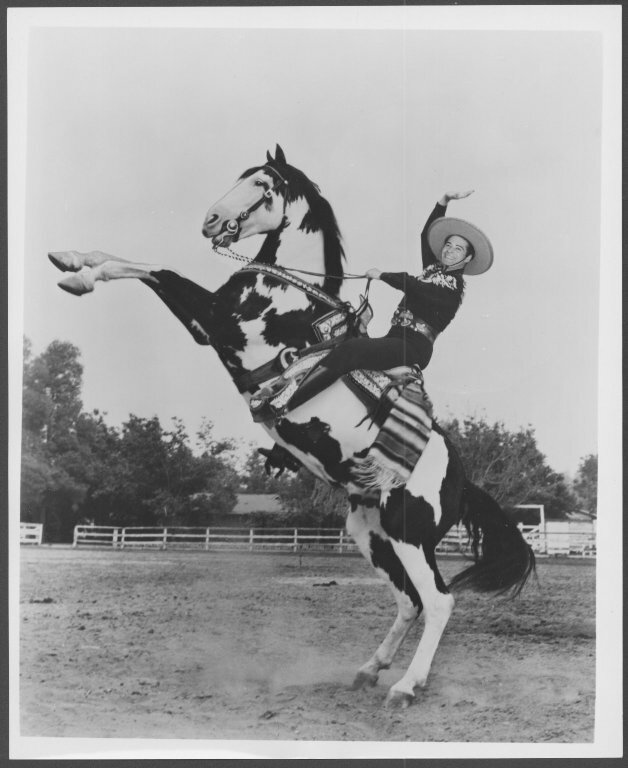 Hopalong Cassidy (William Boyd) astride his horse, Topper. William Boyd Papers, Box 160, #8038. UW American Heritage Center. 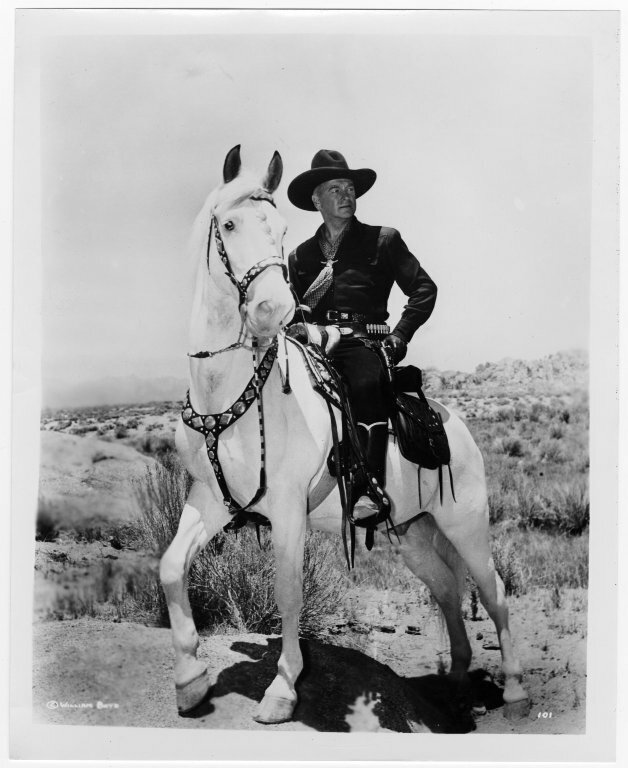 Claim to Fame: Not only was Hopalong Cassidy the first Western TV network series, but Hoppy also was a branding genius, using his star clout to sell everything from cans of tuna fish to lunch boxes. Collection Connection: The William Boyd’s papers (the actor who portrayed Hoppy on screen) live at the AHC! The Cisco Kid (Duncan Renaldo) on a rearing horse, Duncan Renaldo Collection, #5189, Box 51. UW American Heritage Center. Claim to Fame: Originally based on a character in an O. Henry short story, the film and TV version of the Cisco Kid shows a heroic Cisco Kid helping townsfolk with their dilemmas—solving murders, exposing blackmailers, and proving the innocence of those falsely accused of crimes. Collection Connection: Duncan Renaldo, the actor who played Cisco on the TV series, donated his papers to the AHC. 1 Response to Battle of the TV Cowboys: Hoppy vs. Cisco! This is a tough on, but I think that the Cisco Kid would win. I still like Hoppy.